As we move ever more into the digital age, we find ourselves reflecting on our systems and procedures. With a world of information at our fingertips, why do we hold onto filing and document storage systems of days past? Document scanning is a solution that best fits most industries; it can increase productivity and boost efficiency. Here are a few of the perks to document scanning, from us, the professionals. We feel that the below points can really benefit solicitors, accountants, charities, schools and so many more. The obvious point is that less documents means less storage and filing cabinets, opening up office space. This is your prime office square metres that can be optimised to generate more revenue. Scanned documents can be encrypted, password protected and stored in the cloud, on disks or USBs. This can be seen as a great ethical choice through the eyes of your customers. Scanned documents can be shared with numerous people at one time, it means communications are clearer and everyone is singing from the same hymn sheet. Customers are given records that are exactly as you have them, without mailing or copying. If you are audited as a business, scanned documents can be an easier way of meeting legal and regulatory obligations. You can have organised, indexed and easily accessed documents ready for any auditor. Obviously paper is more vulnerable to fire and water damage and this can be devastating in the event of an accident. Scanned documents will allow your company to get back on track faster as everything is secured and safe. An AIIM survey found that on average it takes 37 minutes to retrieve a paper document. Scanned documents can be paired with smart software that allows indexing and searching within minutes. You can really reduce your eco footprint. 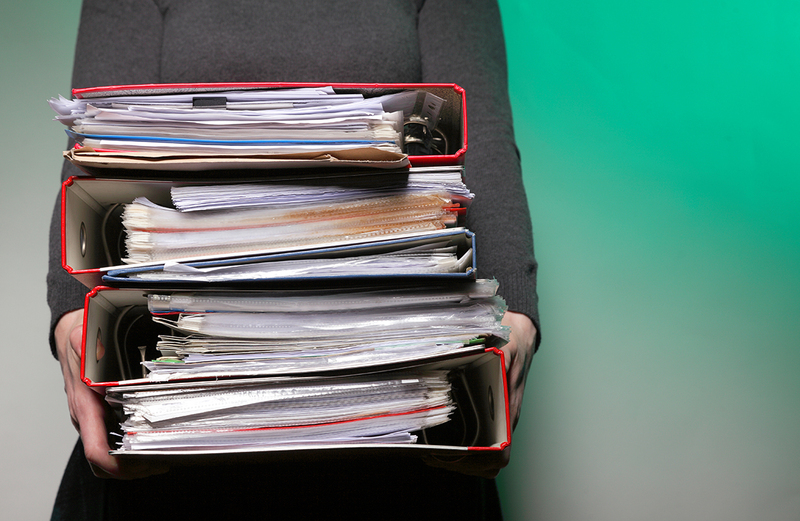 The average office gets through 10,000 sheets of paper every year!